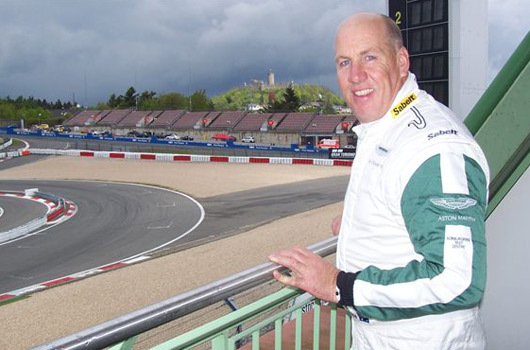 International endurance racing specialist Mal Rose will line up for his 11th consecutive start in the world’s largest endurance racing event, the Nürburgring 24 Hour (19–22 June). Rose will drive a V8 Vantage (SP8 Class) with the Aston Martin Test Centre team for the third successive year. Prior to 2012, Rose competed at the Ring in his own cars, debuting in 2004 aboard a Mitsubishi Mirage Cup Car. From 2007–09 and again in 2011 he raced a Commodore V8 Supercar, while he drove a Subaru WRX in 2010. Rose has notched up four class podiums, and finished every race bar one. He says the Nürburgring 24 Hour is the pinnacle of endurance racing anywhere in the world. “The Nürburgring is a phenomenal circuit; a lap of the track is 26 kilometres and there are 186 corners,” Rose said. Rose, by far the most experienced Australian driver in the event, says international endurance races became very attractive about a decade ago, due to the changing local landscape. “After about 2002, there were no major endurance races in Australia for people like me,” Rose said. “So I decided to travel overseas and race on some of the world’s most famous tracks, first in my Mirage Cup Cars and then in the Holden V8 Supercars. “I was the first person to run a Holden at the Nürburgring in 2006, and I also ran my cars at Spa Francorchamps in Begium, the Dubai Autodrome and Sepang in Malaysia. Hey Mal, I know I’m not an F1 star but I think you might fall a bit short on overseas tracks if you and I compare notes. Keep going though! Your miles in front on the 24 at the ring,Im only up for my 8th with 6 VLN appearances to help the ledger, Cheers mate. So Mal and Paul, how many Australians on the grid for the 2014 24 Hours of Nurburgring? Paul, what are you driving? So damned hard to track an entry list. Hello Peter. If you click the link you will have a complete entry list of 24hr nurburgring.